Farmers in the United States are any entrepreneurs selling agricultural products for more than $1000 a year. If the farm does not sell anything, or its annual turnover does not reach this amount, then this farm is considered a simple kitchen garden. All these organizations are considered by the US Department of Agriculture (USDA) as producers in the agro-industrial complex and are reflected in statistics. Because of this, it turns out that 90% of agricultural products in the United States produce 10% of farmers. 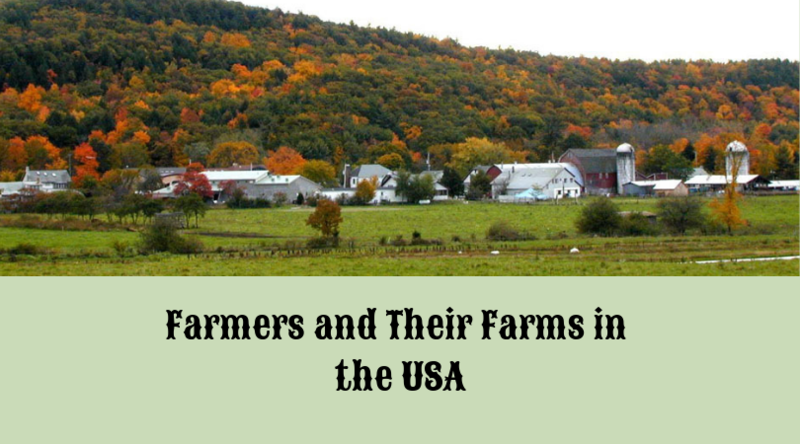 There are officially 2.07 million farms in the United States partly because of this free definition of farming. The average farm size in 2015 was 441 acres (178.5 hectares). Dairy farms have an average of only 40 cows. Only 9% of American farmers have more than 100 heads. For many years in a row, the size of farms has been increasing, and the number of farmers has been decreasing. It is achieved due to the fact that large farms and companies are pushing out small family businesses from agribusiness and they are forced to sell their land. Most smallholder farmers in the US have an additional source of income. Most often, this is a full-time job, and farming is a hobby for them. Many farmers do not work at all on the land. These are those who inherited the land but chose another occupation in life. Such people lease their kitchen gardens to specialized companies that actually manage it, deciding what to grow and how to farm. Sometimes the land is rented by neighbors farmers who lack space. The land is often paid for with shares from the sale of the products picked up. Most farmers in the United States are already elderly: their average age has increased from 50.5 to 58.3 years in the last 30 years. This is data for 2012, newer numbers have not yet been published. It is not surprising that American farmers still prefer to get news from the paper press, although almost every farmer has a tablet connected to the Internet in combine and tractor. However, only 70% of American farmers, according to the USDA, have a computer. Almost as many farmers have access to the Internet. Only about a third of farmers use social networks, the vast majority of Facebook. It is noteworthy that 10% use Pinterest, and only a few percents use Twitter. The exception to the general trend of aging of agrarians and the consolidation of farms are considered to be producers of organic products. There are still many small family businesses in this niche. One of the first organic farms in the US, Star Route Farms, is located in California. Its founder Warren Weber told that he started the business in 1974 with a small plot of land near the village of Bolinas. Initially, he sold products through retailers, but in recent years he has worked with restaurants. “The shop always benefits from a deal with me, not me,” the farmer admits.